1. 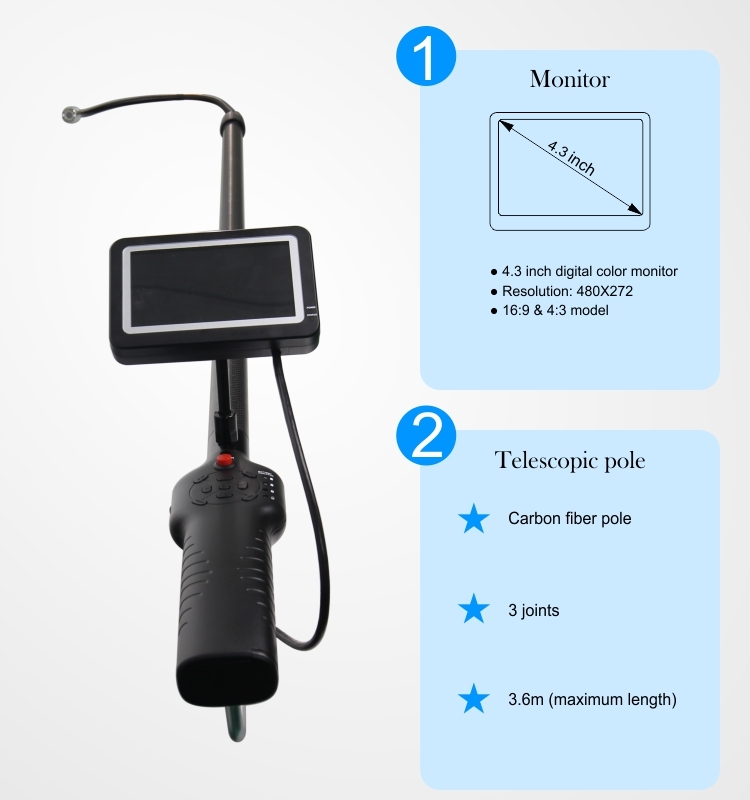 Probe: diameter 6mm, effective working length 3.3m. 2. Pixel: Camera actual pixel 440,000. 3. Probe-oriented joints need laser welding technology to improve the strength of the guide bending part. 4. The probe outer skin needs to adopt the double layer Tungsten wire compilation technology, has the excellent scratch resistance and wear resistance. 5. Guide mode: 360 degree continuous direction, the actual orientation of the bending degree is not less than 120 degrees. 6. 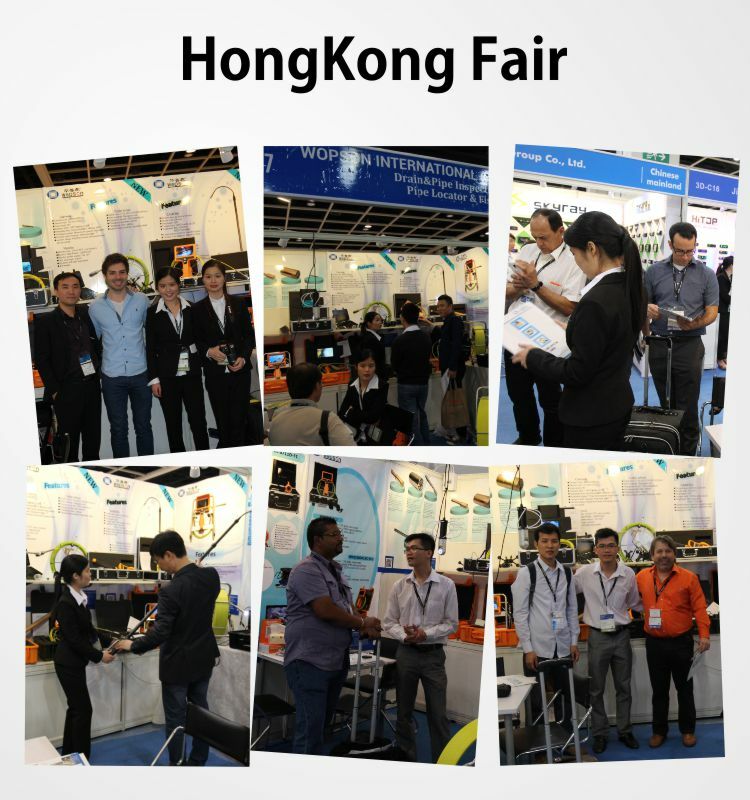 Lighting technology: The use of single high-power white LED built-in host design led power is not less than 7W, lighting output using high-grade optical fiber mode, to ensure large-space detection of lighting effect. 7. Life of lighting light source requires lifetime warranty. 8. Brightness Automatic adjustment way: The whole stepless automatic adjustment, may eliminate the metal light spot which the reflection forms the maximum. 9. 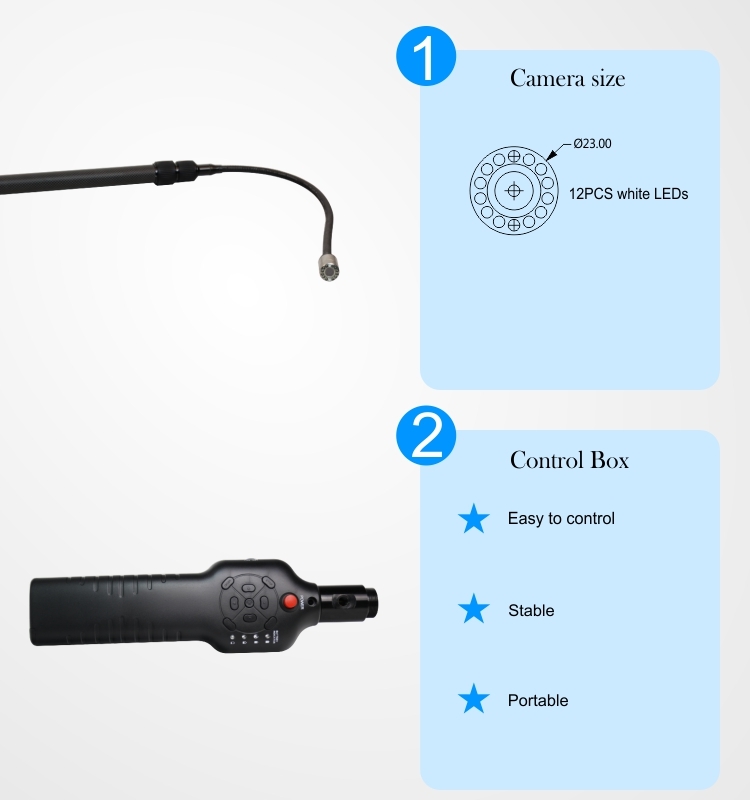 Brightness Manual Adjustment method: Can according to the reflective condition manual brightness output adjustment. 10. Handheld display screen requirements of more than 5.7 inches, with full screen touch function, with text added annotation function, can be based on the detection of the internal view of the picture to annotate, convenient late report generation. 11. 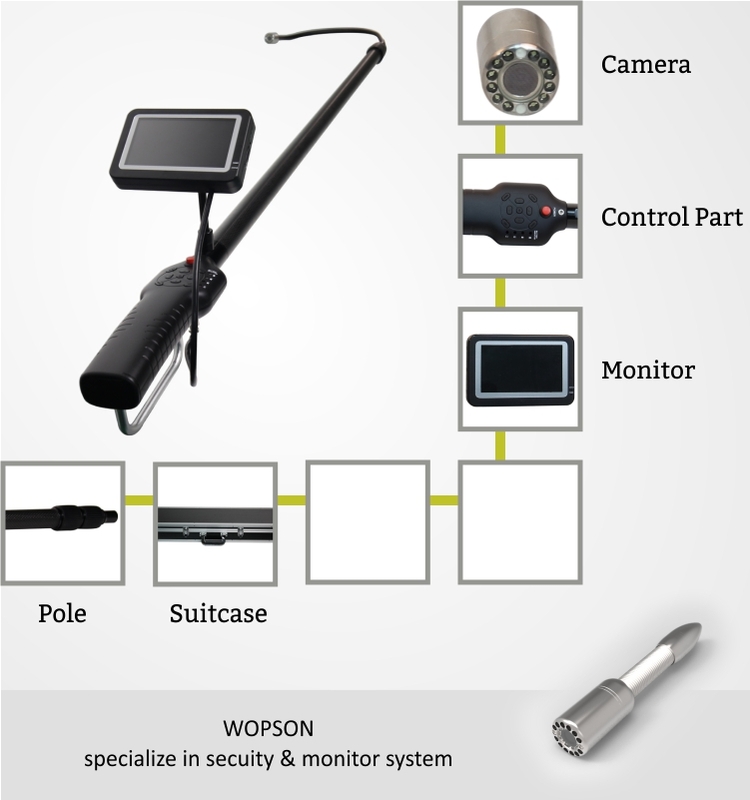 Request video probe, liquid crystal display, probe remote control handle with integrated hand-held integration design, battery and storage and other functions and components are integrated in the handheld control mainframe, no other parts drag, the total weight of the host is not more than 2 kg. 12. High-efficiency rechargeable lithium battery power supply 2 sets, one-piece battery can work for at least 2 hours in a row. 13. 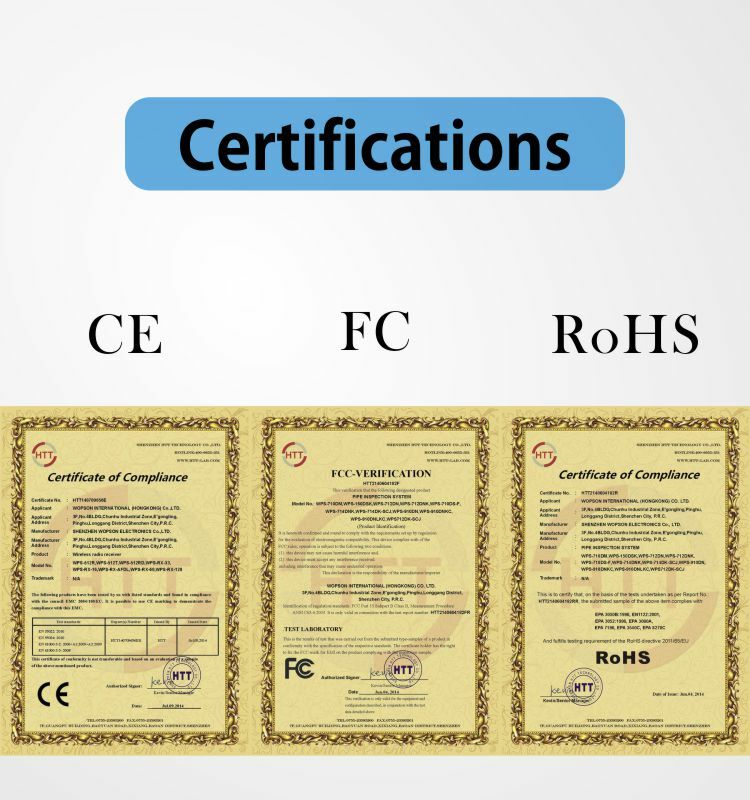 The machine requires the original import of customs declaration and the original waybill, the whole warranty period of 2 years.